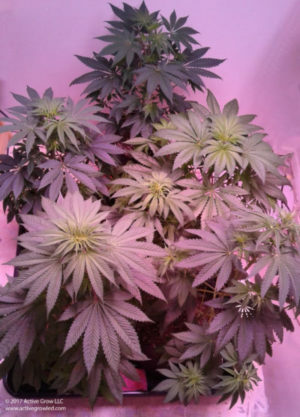 When searching for the best grow lighting solutions it is important to know that not all light specifications are relative in determining the effectiveness of a horticulture lamp or luminaire. 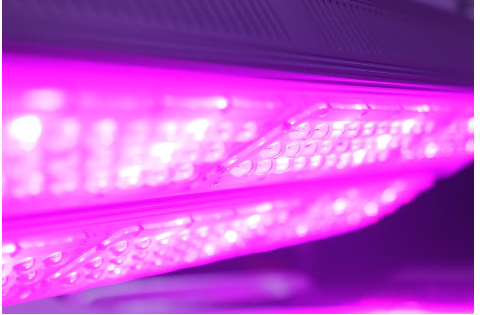 Lumens, LUX, candela and wattage are metrics used to discern light efficiency and intensity in commercial and residential lighting applications so they are not an appropriate means of properly judging horticulture lighting. Instead, the terms PAR, PBAR, PPF, photon electrical efficiency, PPFD and DLI are all important metrics to understand when making a lighting choice for horticulture specific applications. Refers to Photosynthetic Active Radiation and designates the spectral range from 400–700 nm. The photons in the PAR range effect other horticulture lighting metrics such as PPF, Photon Electrical Efficiency, PPFD and DLI. Refers to Plant Biologically Active Radiation and designates the spectral range from 280–800 nm. According to the American Society of Agricultural and Biological Engineering (ASABE), PBAR covers a more substantial range of light that effects plant biology. 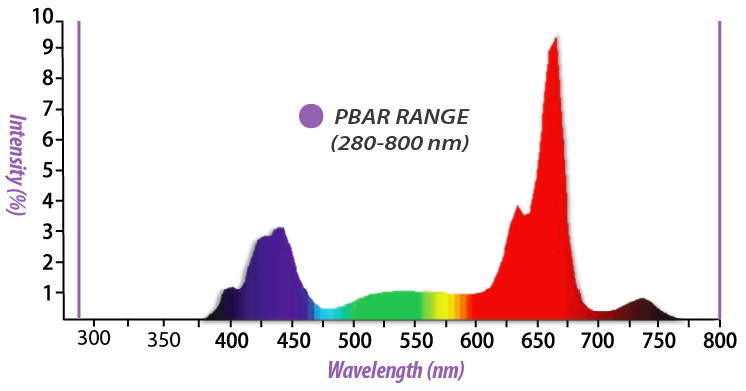 The PBAR measurement includes the PAR band from 400–700 nm as well as the ultraviolet radiation band of 280–400 nm and the far-red radiation band of 700–800 nm. 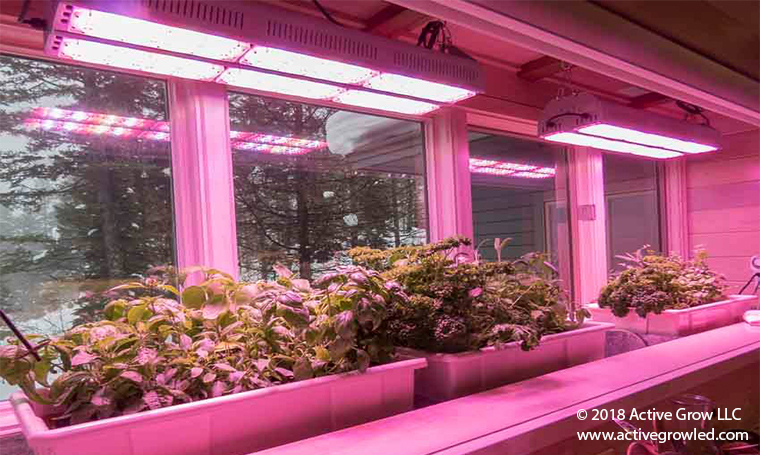 Active Grow uses the latest spectrometer technology to see a lamp’s entire PBAR range. 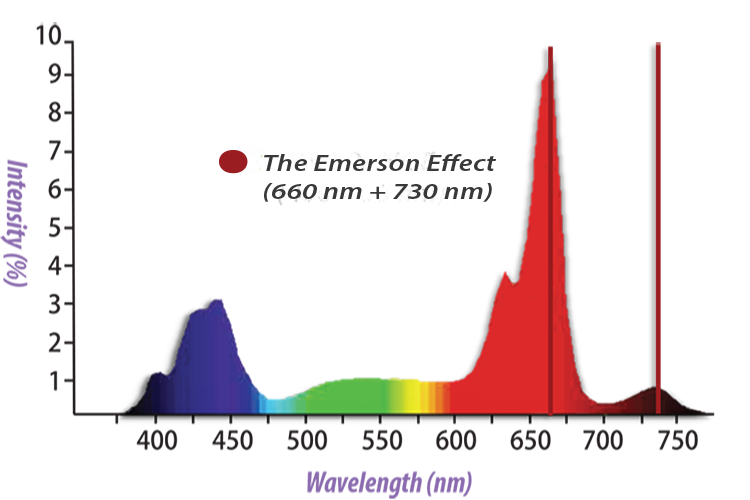 The Emerson effect is the increase in the rate of photosynthesis after chloroplasts are exposed to light of wavelengths 660-680 nm (deep-red spectrums) and 680-730 nm (far-red spectrums) simultaneously. Results have shown that the incorporation of these two wavelengths in horticulture lighting has resulted in increased budding production and increased trichome formation. The SG300 Horticultural Luminaire features 660 nm and 730 nm wavelengths in its Active Spectrum to achieve the Emerson Effect. Refers to Photosynthetic Photon Flux or a lamp’s total emitted number of photons or micromoles per second (µmol/s). 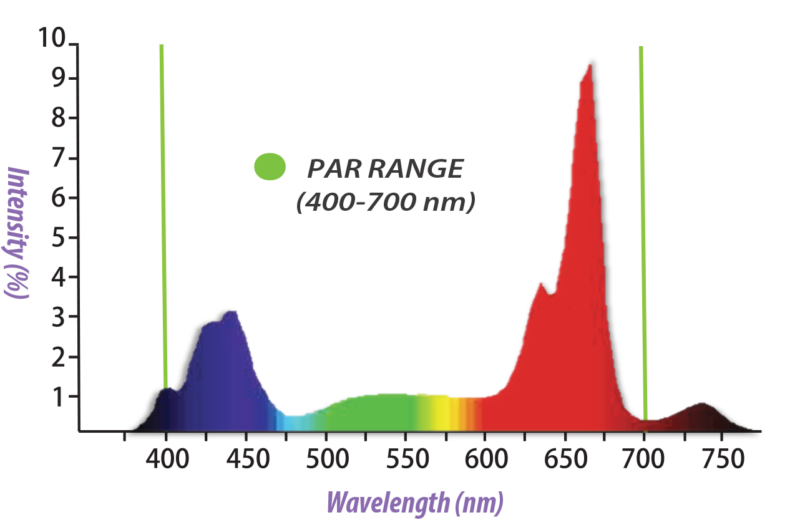 PPF only measures the amount of photons in the PAR range and is currently the standard measure in determining the efficiency of horticulture lighting products. Refers to how efficiently a horticulture lamp can turn a unit of electricity into photons or micromoles in the PAR spectrum range. A unit of electricity in lighting is referred to as watts or joules. The efficiency of joules that create photons In the PAR range are referred to as joules per second (joules/s). In order to determine photon electrical efficiency you use the measurement µmols per joule (µmol/J). Refers to Photosynthetic Photon Flux Density, which is the measurement of light photons that reach a target point. PPFD units themselves are the number of photons in the PAR range that land over one square meter per second or µmol/m2/s. 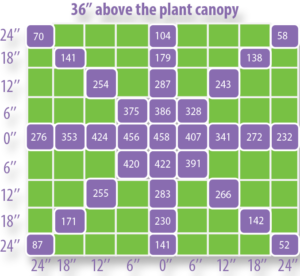 Active Grow publishes detailed PPFD data over a 4’ x 4’ area at different heights for the SG300 LED Grow Light here. Refers to Daily Light Integral or the amount of total photons in the PAR range that lands on a target point over the course of 24 hours. Different types of plants require different levels of micromoles per day or moles/day, so this metric is useful in determining the appropriate light levels required for specific horticulture applications. 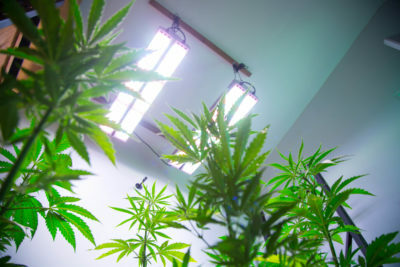 By better understanding horticultural lighting terms you can make a more informed decision when choosing the right equipment for your grow. Please contact us at info@activegrowled.com with any questions.